Players will be able to traverse the post-apocalyptic and dried-out sea of FAR: Lone Sails when it releases on May 17th for PC via Steam and later this year on consoles. 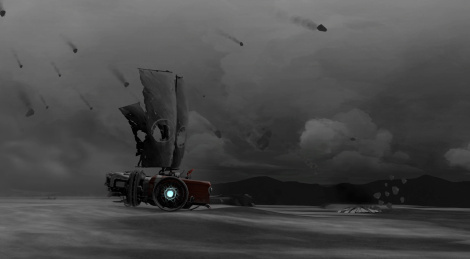 The vehicle adventure game will make you explore a desolate world and its remains of a decaying civilization without knowing how far your vessel will be able to go. This is where vehicle management and environmental puzzles will be useful to overcome obstacles and hazardous weather conditions, making your passages varying from peaceful moments to more challenging situations. Get a new glimpse at the title with new screens and a new gameplay trailer.